Home / Law Firm Members / Mayersohn Law Group, P.A. Mayersohn Law Group, P.A. 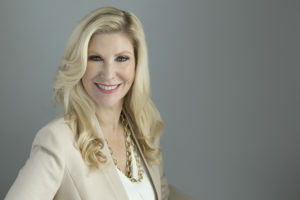 (MLG), founded in 2000, is a woman–owned law firm providing various full-service legal representations to the community and the entire State of Florida from its office in Fort Lauderdale. We focus on our clients and their individual needs, rights and situations. Leah Mayersohn is a former prosecutor, she is particularly in tune with all regulatory and compliance issues in the State of Florida and considers the same in advance of litigation to structure the firm files accordingly. This is of particular importance in today’s environment, especially in Florida. MLG was voted by South Florida Legal Guide as one of the top law firms in 2018. Additionally, MLG is AV-Rated and Leah Mayersohn is listed on the bar register of preeminent lawyers. If your company, its employees or officers has been accused of a crime in Florida, or if you need an external or internal criminal investigation, you need a lawyer to protect your company’s rights as soon as possible. Our criminal law practice consists of defending large and small corporations, their vendors or employees accused of virtually any type of crime. The firm has ample experience in criminal, regulatory and compliance issues effecting corporations today. We have often provided counsel to various corporations paying special attention to fiduciary responsibilities, company oversights and other potential liability issues. Mayersohn Law Group has been very successful in resolving criminal and corporate matters quietly, without litigation or prosecution and therefore protecting the privacy of our clients. Likewise, we can assist in conducting internal criminal investigations and expedite the prosecution of people, if necessary. If you need assistance with FCPA issues, we can provide guidance regarding same and negotiate resolutions if necessary. Mayersohn Law Group has been representing National Lending Institutions and Servicers on matters related to performing and non-performing loans for the past decade. Our team members have over 27 years of experience in real estate related litigation and loan enforcement in state, federal, and bankruptcy courts. We handle matters in all 67 counties throughout Florida. Our in-depth knowledge of local Judges personalities and requirements, administrative orders and verse rules and regulations allow us to resolve cases quickly minimizing our client loses. Additionally, we handle related litigation such as evictions and closing transactions, and title curative services on behalf of many national underwriters. When it comes to development and real estate acquisitions, good strategy and a strong legal team is a must. At Mayersohn Law, we possess invaluable insight in state laws and requirements. Throughout the past decade, we acquired perspective from professionals involved in construction, small and large real estate developments, receivers, and government officials that allows us to better help our clients. Our knowledge enables us to circumvent arising issues, resolve disputes while saving our clients time and resources. We understand and are able to see your project through fruition. In the commercial environment today, every entity must consider the prospect of an expensive and protracted legal action or litigation to defend ones position. Conflict resolution is among the finest arts in the practice of law. Mayersohn Law Group assesses the situation of Litigation with great care and focus on your objectives. Our attorneys have vast experience in handling everything from injunctions to complicated financial disputes and class actions.